Metal cleanliness influences nearly all parameters of casted pieces and the casting process. Thus, tests of the melt material are of particular importance. 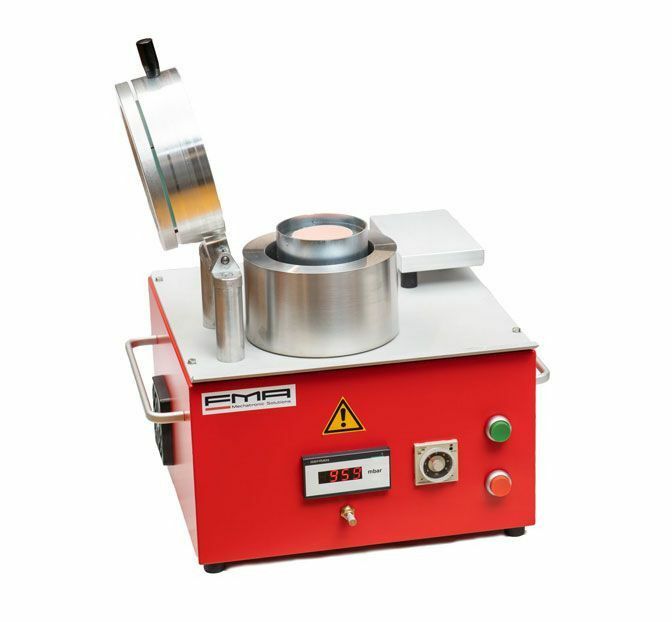 With the devices of FMA the quality of the metal melts is simply investigated. 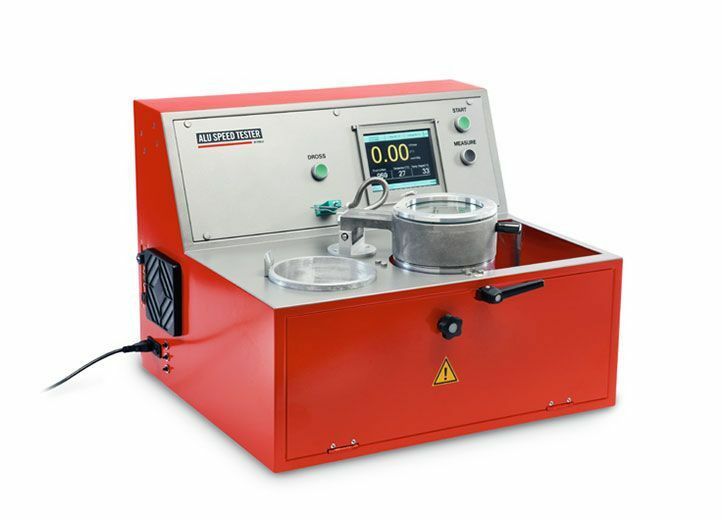 Dross test method is used to qualify the non-metallic inclusions in a very cheap and quick way and the Straube-Pfeiffer test allows to show gas inclusions in the metal. The «ALU SPEED TESTER» developed by FMA, can be used to take four measurements. It is a hydrogen measurement tester which can in addition measure density samples and do the Dross and Straube-Pfeiffer test. The device distinguishes itself due to its compactness, easy operation and speed. Hydrogen measurement can be completed in less than a minute. This device has USB, Ethernet, and RS232 as standard interfaces, storage of measuring results on device, display of results on a colour display, and setting parameters with touch screen. In addition, with our software, data can be graphically displayed, statistically evaluated, and transferred into other programmes. The basic unit is a compact and easy to operate hydrogen measuring device. The hydrogen measurement with «ALU SPEED TESTER» is based on the first gas bubble principle of Y. Dardel. Density samples are used for measuring the density index. 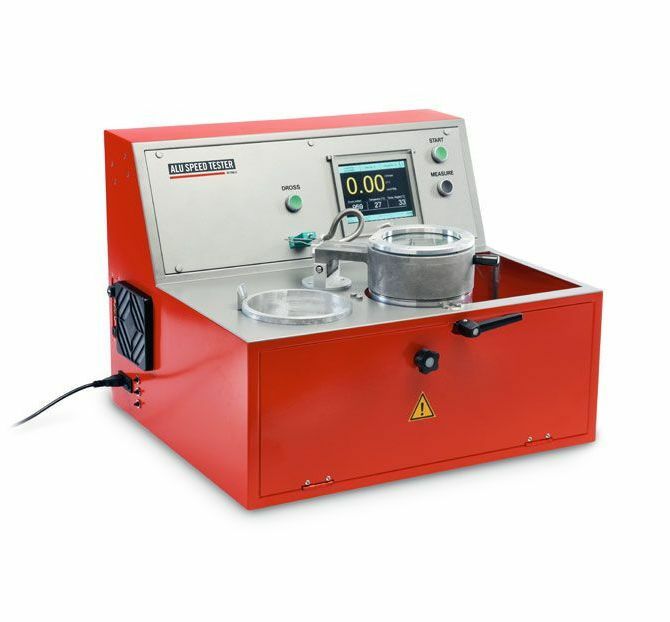 This is a well known indicator for the purity of metal samples. Solidification time adjustable 0 - 999 Sek. 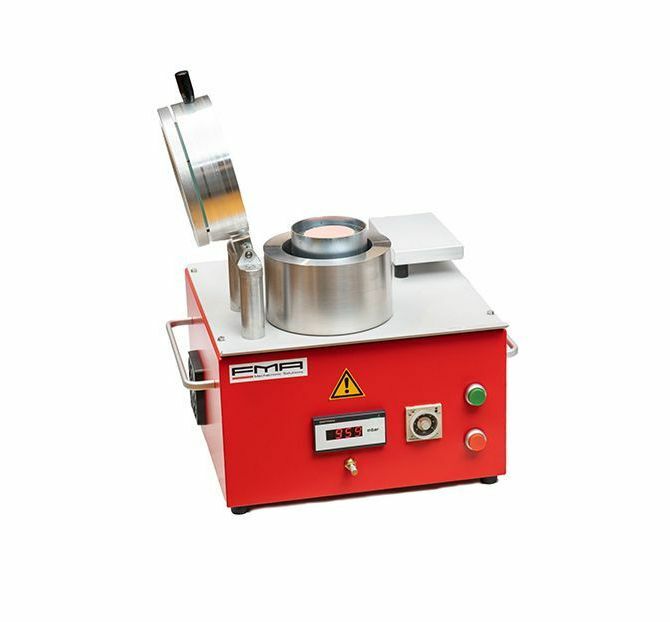 The drosstest is used to determine non metallic contaminations (oxides). Straube-Pfeiffer test is used to ascertain inclusions. Handy printer to print out the measuring results. The device allows to generate aluminium density-test specimens (approx. 80 g) at a vacuum level of 80 +/- 2,5 mbar., and Dross test as well as Straube-Pfeiffer test samples (approx. 230g) at an adjustable vacuum level from 5-150 mbar. It contains a digital pressure indicator, that may be calibrated. To determine the density index, two samples have to be produced. One sample solidifies at atmosphere pressure and one in a vacuum chamber (for example with the «NDLC» or «ALU SPEED TESTER»). Both samples are weighted (for example with the «FMA BALANCE») and with the two measurements the density index is automatically calculated. The Drosstest and Straube-Pfeiffer test samples are solidified in a vacuum chamber (for example with the «NDLC» or «ALU SPEED TESTER»).